CEO Tim Cook was coy when asked for details on Apple's efforts around autonomous systems. Apple Inc. (AAPL - Get Report) CEO Tim Cook gave everyone the barest of hints last week about a new area where Apple is placing a big bet. Speaking with analysts on Tuesday for the second-quarter earnings report, Cook talked excitedly about Apple's plans for autonomous systems, saying the business might extend beyond just vehicles. In June, Cook referred to autonomous vehicles as the "mother of all" artificial intelligence projects, saying they're one of the hardest things to work on. He reiterated that sentiment on the call with investors this week. "We do have a large project going and are making a big investment in this," Cook said. "The autonomous systems can be used in a variety of ways and a vehicle is only one. There are many different areas of it and I don't want to go any further with that." Apple diehards, investors and analysts had been speculating about the company's big, secret project long before Cook's cryptic comments. "Project Titan," the internal codename given to Apple's electric car project, has been speculated about for several years. Apple has hundreds of engineers working on the project, which is said to be focused around building a self-driving car. Project Titan was rumored to have a target release date of 2019, but that's since been pushed back to 2021. The project also came under new leadership in April 2016 when Apple executive Bob Mansfield took over and downsized the team. The company's ambitions were practically hidden in plain sight when the California DMV posted on its webpage that Apple and 29 other companies had received a permit to test autonomous cars in the state. Soon after that, a Lexus SUV was spotted driving around Silicon Valley equipped with Lidar sensors and other autonomous technology. Cook's comments give further credence to the idea that Apple has scrapped the idea of making a full-on self-driving car, in favor of building an autonomous system, which could have uses in the car, but possibly in other areas like robotics, drones, trucking or logistics. Those would be totally new markets for Apple, which has historically stuck to high-end devices and services that center largely around the iPhone, its biggest cash cow thus far. Bob O'Donnell, chief analyst at TECHnalysis Research, said it's likely that Apple has moved on from entering the complicated world of car building (which has its own challenges, he noted, like "actually bending sheet metal" and working with dealers) and is instead focusing on building some kind of autonomous technology. "All of those kinds of things are what they probably started to realize would be more challenging," O'Donnell said. "Whereas actual software and tech they were probably making good progress on and said 'Look, we've got all this work and how should we leverage it.' It's not at all hard to draw the story where that's the case." While it seems like the most rational move for Apple to make, it would also be a departure from its usual playbook. 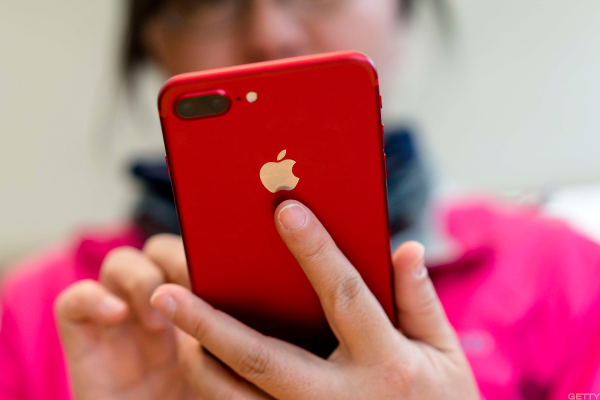 Apple's big advantage is that it has a certain amount of brand equity, or brand recognition, among consumers, said Christian Renaud, internet of things researcher at 451 Research. The company likes to put their logo front and center on devices and developing autonomous software would mean that it would largely be working in the background. The company has already dabbled in the auto market with its CarPlay infotainment system, but could build on that with some kind of autonomy software retrofitted for a vehicle, Renaud added. They could also be developing an autonomy kit similar to ARKit, which is their augmented reality platform for developers. "Apple's history is they dive deep or enable it with a framework and let developers do the heavy lifting," Renaud explained. "They've used developers as test marketing to see where the juicy margins are." Based on the jobs that Apple is looking to fill, it seems logical that the company is planning something related to software. In the past month, Apple has posted more than 70 job listings looking for map technology experts, according to CNBC. The postings include skills like "geospatial information services," "navigational ads" and "fleet management." Whatever they decide to do, it would be a big leap from what Apple is currently known for. The company could be "jumping the fence" from infotainment to operating vehicles, which is a big jump, Renaud said. Apple fans have already grown more and more impatient for the company to release its next revolutionary product. And as the iPhone gets closer and closer to reaching peak saturation, Apple will have to figure out how to remain relevant and keep up its monster growth rate. "They are going to have to at some point come up with new ways to generate revenues," O'Donnell said. "This is them potentially laying the groundwork for being an important player in the future." Apple stock traded up 0.45% to $157.07 Monday morning.